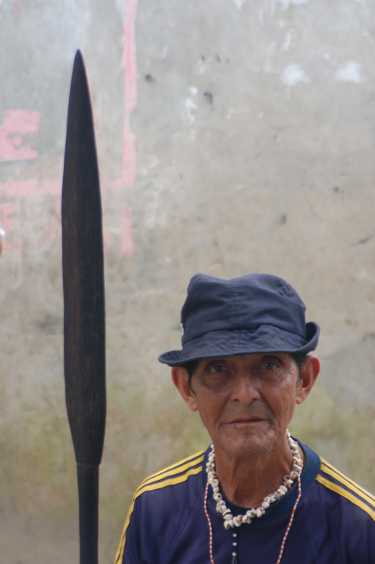 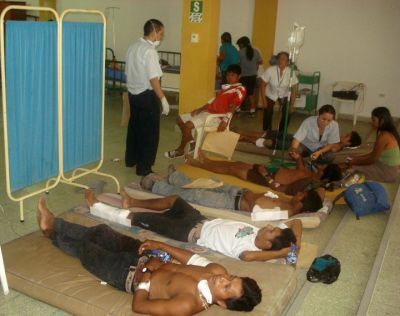 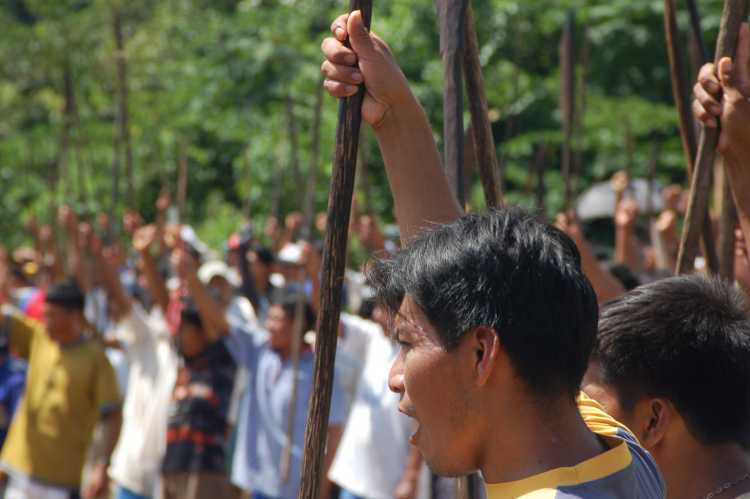 The government of Peru attacked with weapons unarmed Indigenous protesters in Bagua Chica, in the northern Amazon region. 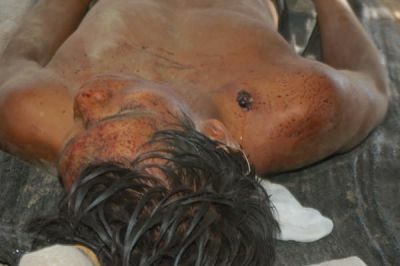 The attack which included snipers and helicopters started early last Friday until late Saturday. 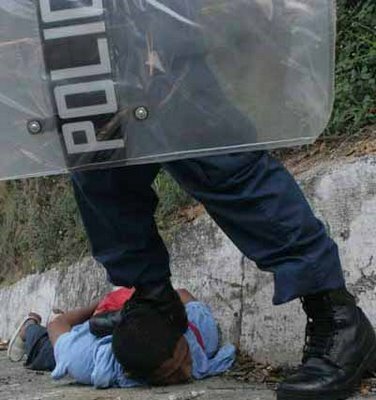 The death toll might reach between 40 to 85 people killed, including 22 police officers. 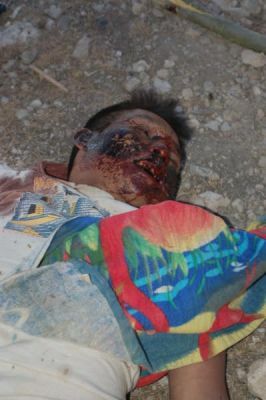 Fotos de los muertos en Bagua. 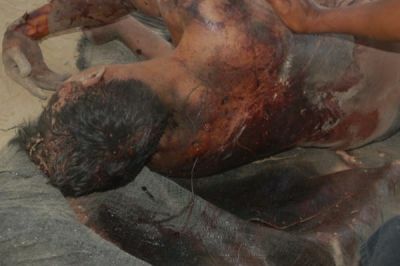 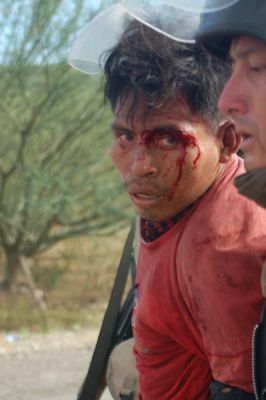 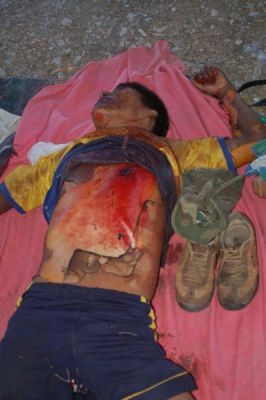 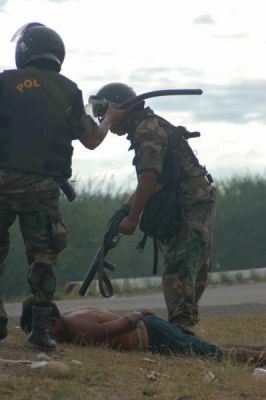 See graphic images of the massacre that took place in Bagua, Peru. 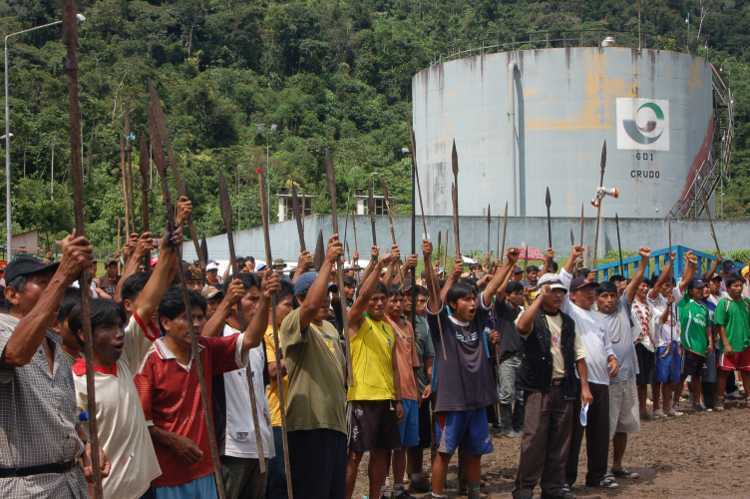 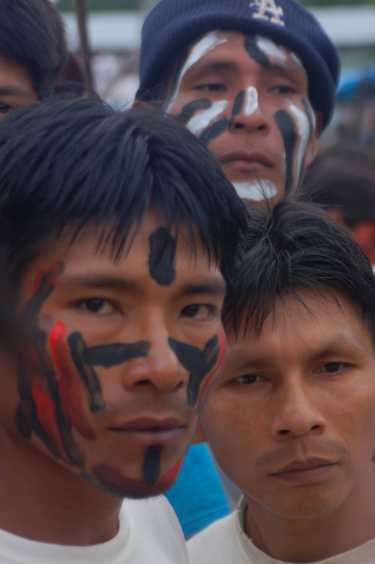 Awajun indigenous protesters in Bagua, northern Peru, where armed police put many of them into hospital in a May 10th attack on their peaceful blockade of the Corral Quemado Bridge. 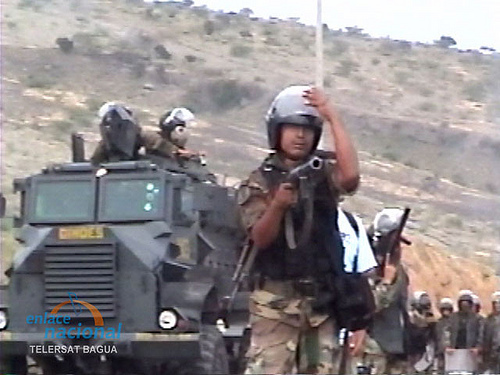 On Sunday, May 10, armed police attacked and broke up a peaceful demonstration on the Corral Quemado Bridge close to the northern Peruvian town of Bagua, resulting in several serious injuries and one person missing, feared dead. 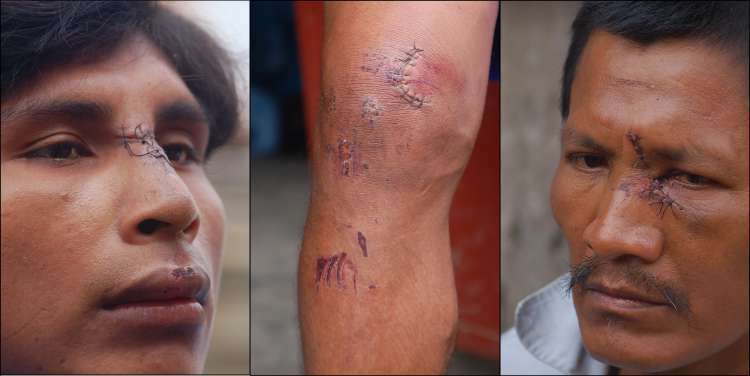 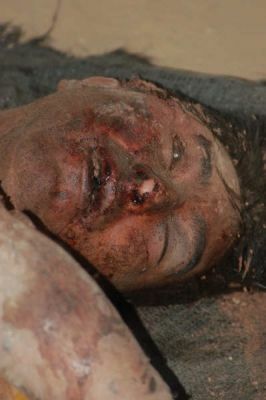 These photos show some of the victims.